Hey everyone long time no post… So, I thought I would check in and just mention some new news on Alice. 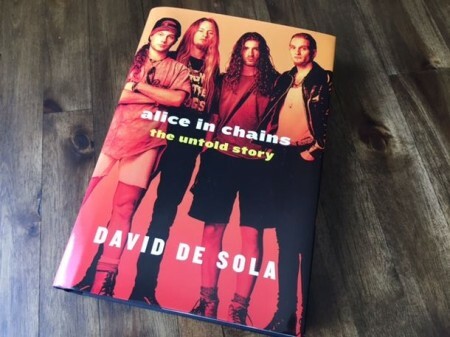 There was a book recently written called Alice in Chains: The Untold Story by David de Sola. The author David did approach me to participate like he did a LOT of people so I wasn’t special but at the time.. 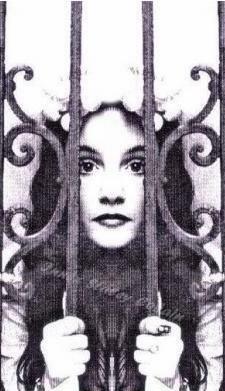 I was still a lot leary of all the previous book writers so I was just a little sketched out hearing from another one… so I declined an interview. Plus I may want to write my own book someday and I have already shared so much here with you guys which I loved doing by the way… I really enjoyed all the conversations and writing this blog actually really helped me to heal. Grief is why I originally started this blog and then people started to respond to what I was writing so I wrote more and wow… it helped me so much just sharing about my friends that I lost and having people be genuinely interested..so honestly.. Thanks to you to all who have read this website and I will continue to keep it up as long as people continue to visit it. This is the first time I’ve posted in 2 years I think…. Crazy how time flies but it also does show how far I have come in my grieving process. I have finally come to terms they’re all gone and I truly believe they’re all at peace and so am I. Anyway, I have not read this book (or any of the books) yet myself…and not sure I will yet.. but I have talked to a few people on the facebook groups who really supported the book… but this is was also coming from people who didn’t actually know them. So who knows. So… the jury is out. You guys tell me.. Is it good? Click below to buy it on Amazon. Leave a comment in the comment section if you’ve already bought it and read it. I’d love to hear what you all think. Barbara, if you write a book, I will for sure read it! Well I’ve read the book. It is great . there are plenty of sources listed at the back of the book need anyone question what is written. I could not put it down. I read it in 1 day. Not to say it’s a vague short book…not by any means. It would benefit any fan of Layne Staley to read this book. Demi did not die of an enlarged heart according to this book and I believe it. She died due to an overdose under some pretty seedy circumstances. Plain and simple. There are a lot of misperceptions about Layne’s death as well. Worth every penny this book. They were a couple that were ultimately bad for each other so if you choose to believe otherwise …that’s your choice. To glamorize what happened between them and Demi’s really crazy lifestyle by calling her a ” free spirit”…well go ahead if that’s what you want to believe. My best friend became a junkie and I saw and witnessed the awful life choices and things she stooped to get her drugs. Th eres nothing good about it. Demi had a really awful couple of years before she passed and she didn’t seem to care too much believing she’ll be part of the “27 club”. I think this site needs a shot of reality when it comes to Demi. Layne left her for good reason. They were not together for years for good reason. Then again he also succumbed to his addictions and knew full well what was going on with him. I recommend you read this book Barbara. Layne is sadly missed by his fans and this book is the closest thing a fan can get as to the details of his death. I’ve just ordered this book. I think that it’s important when writing a book that the truth be revealed. Not someone romanticising a situation. The facts good and bad. Reality. Of I needed fluff I’d go to that fake writing site…I have forgotten the name…where people write about how they think things were. No one is free of faults and to glamorous Layne’s life and make him sound perfect is doing the opposite of what a bio is supposed to be. I really liked the book and it gave me an insight into AIC and all that Seattle scene back then. It looks like there is not a lot new for all those close to it all. I’m the same age as Layne and spent my youth following them from the beginning and loved their music all along. As this was the days before the internet took hold, we’d only get snippets over here in UK in the rock press as to what was happening and Layne’s slow painful demise. Hopefully one day there will be a more personal biography from the people really close to him (assuming there will be some left!) . Until then, I think this is a good book and a great read. Just watched the MTV Unplugged I taped Monday on MTV Classics. Opening with the soulful “Nutshell” just gets me every time. I can’t listen to it without crying. That live version gets me every….single….time. I heard no one was sure Layne would even come out and the back up plan was that Jerry would sing everything. Of Jerry was sick with food poisoning. The only book I would read is a book co-written by Darin Lamb, because he was Layne’s best friend, understood him, and loved him unconditionally, as he says often here. Reading this website has given me so much insight. Thank you from the bottom of my heart. Bought it and re- sold it on Amazon the same day. He took everything that had to do with Aic from Everybody Loves Our Town and Grunge Is Dead….nothing new….he had some pics I’ve never seen….it wasn’t special to me at all or else it would’ve stayed in my collection. Dang….I was thinking about purchasing this. I read the book twice and liked it very much.. It was fascinating, interesting, sad, a lot of things.. I think it was well researched and I think de Sola only had the best intentions in writing it. I wish people close to the band would agree to interviews. It may stop everyone speculating on this and that and stop some of the awful rumors. I emailed de Sola to tell him I really enjoyed the book and he actually replied to me, I thought that was cool. The book is well-written and well-researched, for sure. The only problem is the availability of people who would go on record to talk to de Sola, which given the shittiniess of previous authors, or those who attempted to write a book (in the case of “Itch”) I don’t blame people for not wanting to talk. I enjoyed it, but probably won’t be re-reading it. Its focus is really on Layne and Mike Starr, primarily on Layne. I’m sure Jerry, Sean and Mike Inez had lawyers going over the manuscript with a fine-tooth comb. One of the big takeaways from the book is that Layne was living with Hepatitis C, but it doesn’t make clear when he was diagnosed or if he even knew about it. If you do write a book, I’m sure I’d read and re-read it many times! I haven’t read the book, but I did read the chapter one excerpt that anyone can view online. The book does repeat some things about the band’s and Layne’s history that you can read online, or in some of the other books that were written about the Seattle scene; however, it does quote unique sources like Jamie, Jim and Ken Elmer (Layne’s sister, step-father and step-brother). Their information helps provide some context for many things we’ve heard or read in the past. For Example, we knew early on Layne practiced singing to Black Sabbath records and other classic rock bands. 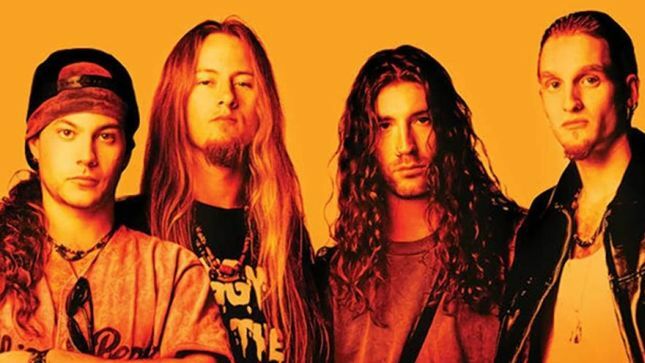 The interview with Ken Elmer, Layne’s Step Brother, fills in more detail about this early time in Layne’s Music career, and he provides more specifics as to the What, where, Why and how of Layne practicing his vocals. Apparently both Ken and Layne wanted to be lead singers. I will probably purchase the book in the future. So far it seems to express things in a considerate and respectful manner. The chapter I read online seems to focus the camera a little clearer on the band and Layne than we’ve had up to this point. As the years pass we should see more books with sources close to the band that can add to the landscape of the lives of AIC and provide us curious life-long fans with a more detailed and accurate history of their careers. Thanks for posting, I thought, perhaps, that you may have said what you wanted to say and had abandoned the site. I’m glad to hear from you again. You responded to a post I wrote about moving to Seattle in the mid-80s. I talked about how nice the citizens of Seattle where; in fact, people would say hello to you on the streets. I was somewhat stunned at my first experience with this after moving to Seattle, but I truly enjoyed the genuine friendliness and kindness displayed. I have no idea if Seattleites still express this courtesy, since it was invaded by outsiders after the Microsoft boom, and so many transplants now live there. Some day I will go back and visit my old haunts, and remind myself of all the great living I did there. Seattle in the 80s, for me, was emphatically the best place I ever lived. I appreciated your reaction to my post. I don’t remember where it is on the site since it has been so long, but it’s in here somewhere. And, this site is the most heartfelt and honest representation of those wonderfully creative, and selfless givers of talent,musicians, and artist anywhere in the vast and uncharted frontier of the internet. Sounds like we all need to boldly go where no one has gone before! Thank you so much for the website. I’ve been looking at info around the internet and wondering which stories were true. 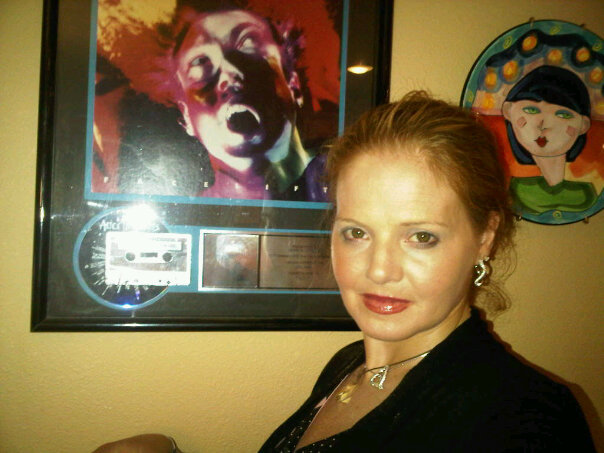 My husband Joe and I loved listening to AIC. He died of Alcohol abuse at 44 and there are a lot of similarities to our relationship and theirs and birthdates (cool and freaky). This book by DeSola is the only book I’ve ever read about AIC, as I heard the rest were crap and untrue. I read that book in a day. To me, it was clear that he did some pretty thorough research, and there were lots of things mentioned that I, as a huge fan, didn’t know. I enjoyed it very much. I didn’t know them personally as you did, Barbara, but I think you’d like the book should you choose to read it. I really hope one day you do decide to write your own book, because as someone who knew them well, you’d not only have facts, but really wonderful memories to add. I sincerely hope you do read it. And if you read it, and some of the facts are untrue, you’d be given the opportunity to set things straight. But I thought it was a great book. Much love and hugs to you! I love this page! I read it over and over all the time! Barbara! You’re back! Great to see you posting again. I have had this book on my Wishlist since it was announced but I’ll tell you why I haven’t read it yet–I’m tired of hearing from people who weren’t there. As a fan, I feel as though we have enough “interview” style books. I want one written by the bands themselves or at least people who were there and/or had a vested interest in the story. I’ll wait until one of you guys (hint, hint) writes a book.